Imagine it represents your future startup, transformed into a wildly successful company. The circle contains every critical element needed to make it all work. Now -- what do you think sits at the center? Your ideas? Your capital? Your unique way to solve this or that problem? No. It's your customer. A human being -- someone you'd love to serve. Period. Thus, your focus must start here: can you describe your potential customer? What problems or pains do they have, and how deep do they go? How can you cure these in a way that fits their values and their life? Call this approach customer development -- vastly simplified. A methodology that turned many fragile startups into runaway successes. When a top expert on customer development launches a crazy startup, how does he or she go about it? How do master entrepreneurs build companies? 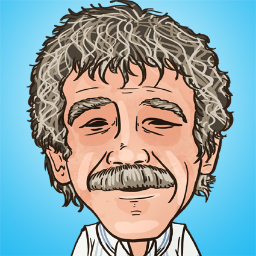 Meet Bob Dorf. He founded 7 companies, teaches entrepreneurship at Columbia Business School, and coauthored The Startup Owner's Manual with Steve Blank -- himself an 8x entrepreneur, major Silicon Valley thought leader, and one of the most influential people in tech. Back in 1993, a new book set the marketing world on fire. Dorf stumbled on it and saw an opportunity. "The genesis of our business was a book called The One to One Future written by Don Peppers and Martha Rogers." "And I said: 'Why are you guys spending all your time trying to sell books? There's a business in here that's much more exciting and lucrative than making $2 per book." Even better: it looked like a perfect marriage. During speeches, people offered Peppers some consulting work. And Dorf was already at work to sell consulting in this space. So, if you can turn a few speech inquiries into consulting clients, then instead of $2 multiples, you have a lucrative business. All based on a proven marketing tome. And so Dorf, Peppers and Rogers founded Marketing 1to1. But wait -- what about capital? Shouldn't you always seek outside money before you do anything? Far from it. "For as long as humanly possible, avoid investors as best you can." Wow. Tell that to the legions of entrepreneurs banging down the doors and email inboxes of venture capitalists and angel investors. Waste of time. So how did Dorf fund his startup? "Don Peppers and I basically funded it out of our wallets. Because in my view of the world, spending time talking to early stage investors is usually an awfully big time-eater. Life is much better if you spend all that early energy to build something that will attract the interest of investors -- rather than going and knocking on a hundred doors." Smart strategy. And look -- how much capital you need depends on how you start your company. "One of the things that I particularly love about customer development is that it doesn't cost a lot. It takes dedication, sweat and damn hard work, but it's not expensive to go knock on 50 doors and have 50 conversations." Do me a favor: before you spend a dime on your new startup, take a moment and think like a minimalist. Make every dollar and penny count. Dorf and Peppers wasted nothing: they worked out of Dorf's house, with no employees. "I think the entrepreneurs that will win in the next couple of years are the ones who don't spend money like drunken sailors." Alright -- but even with inexpensive conversations, you need to keep the lights on, right? How can you do that without investors? You go and figure out how to recruit your early customers. One by one. Hence, you start to earn revenue from the best source: customers. And the lights stay on. Dorf and Peppers got to work and made sales calls. But during meetings with their very first customer, they couldn't get a simple contract signed. Lots of objections -- but never a firm 'no'. "Don stood up in the meeting and said: 'Look, we've had six meetings, we're wasting months of time. Let us start work for a month. We'll bill you on the first of the month, and then you decide at the end of the month whether you want to pay the bill or not.'" A bold move. And it worked: their customer said yes, and paid them. Huge inflexion point. From now on, they could point to a big client as a reference. Plus, they gained priceless insights on how to get future customers to say yes. One by one, their customer base grew. Flooded with inbound calls, the early days of scary manual recruitment were over. "Seven years later we had 450 employees, with $50M in revenue and $50M in the bank." See the lesson? Yes -- it's hard to recruit your first customers. But do it anyway, because it yields rewards you just can't pass up. Clarity on what makes your customers tick. Results to see if your business model works. Experience on how to interact with your customers. Language to use to get them to convert. The list goes on and on. And yes, some early revenue. In other words, things smart entrepreneurs know they need. Look -- I get it. You want to run your own show, so why bother with what experts say? Can't you just wing it as you go? Sure. But know this: top experts have deep knowledge, priceless experience and a metric ton of wisdom to give you. A hundred books on entrepreneurship can't give you all this. My advice? Learn and absorb everything you can from experts -- and then, start fresh. Hi, I'm Harry -- a fellow entrepreneur. Keen to help you discover your ideal customers. Let's connect.